I have made temperature sensor in the past, but now I added power saving features to the code. The result was a device which lasts almost a month when it reports temperature once an hour over XBee and is powered by 1000mAh LiPo battery. After my previous article, Olimex people pointed out that their Olimexino-328 board is able to use much less than 4mA if powered through the battery connector. 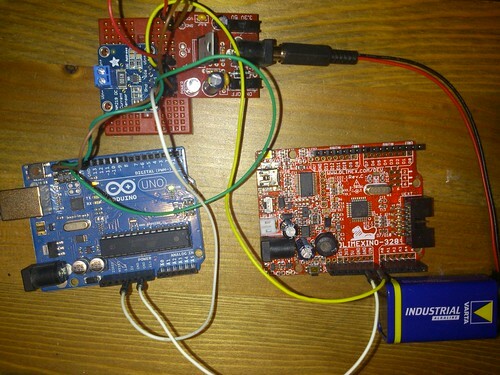 As I got my INA219 sensor working, the next logical step was to actually find out how you can save some power with Arduinos. 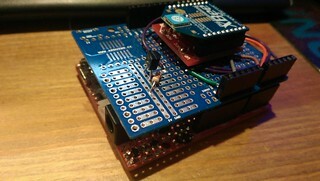 Sparkfun provides a nice article about the subject and atmega328p datasheet is also an useful information source. 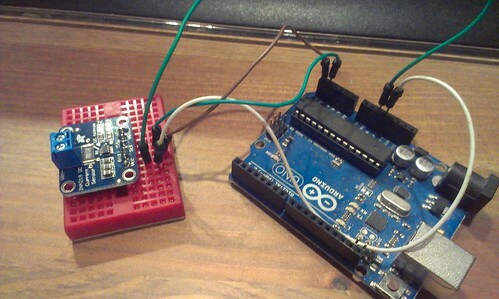 To optimize the power usage of my Arduino devices, I first needed to measure the power usage. I could have done it traditionally with multimeter, but then I found Adafruit's INA219 sensor breakout board.